Why Affiliate Marketing? Turn Your Passion Into Profit! What is the definition of affiliate marketing? In a nutshell, it’s where an affiliate (that’s you) promotes or markets another person’s product or service (a merchant) via their own marketing channels. It’s essential that the publisher, or affiliate, have access to a traffic source. That source is typically a blog that produces weekly content with the intent of educating a specific segment of the population, promoting merchant products and services, and directing people to the site. There are four key players in this process. The publisher, or affiliate: This is commonly a blogger or business owner that promotes other companies’ products. The merchant: The merchant is the retailer or brand selling the services or products. The affiliate network: An affiliate network houses merchant offers, allowing affiliates to choose and apply to the programs relevant to their niches. Using these types of networks make affiliate marketing user-friendly and convenient, not only because the merchants are all in one location, but the network is also responsible for payment procedures. The customer or client: This entire process wouldn’t be possible without someone to purchase the products. When a customer clicks on one of your affiliate links, you receive a commission, as do the merchants you’re promoting and the affiliate network. These commissions are the crux of affiliate marketing. A form of internet marketing, affiliate marketing employs a variety of methods to advertise and promote affiliate campaigns. Some of these methods include, content and email marketing, pay-per-click (PPC) advertising, and organic search engine optimization (SEO). This is a bit of a misnomer as affiliate marketing, in truth, takes a lot of time, effort, and patience. The common denominator of internet marketing is that it takes time, often up to a year to start seeing profits. It’s important to keep this in mind as a new marketer. Are you willing to work hard creating content for several months without getting paid, knowing that it will eventually pay off? It’s kind of like farming. You plant the seeds, nurturing and tending them, until at last it’s time to harvest. Affiliate marketing duplicates this process. The good news is, you will begin to make money from your consistent hard work, and that money will begin to trickle in even when you’re sleeping. That, my friends, is passive income. What would you give to have the freedom to work from anywhere? This is the beauty of the internet. I remember so many years, going on vacation and being stressed out, because I knew I would have to play catch-up when I returned home. That always induced a feeling of dread. Now, when I travel, it’s just a matter of bringing my laptop, and making sure I’m connected to the internet. And it’s not like I have to work long hours, a couple of hours here and there, makes a big difference in the growth of my business, and it’s amazing for what it does for my psychological health. It’s truly freedom at its best. I don’t know about you, but I absolutely love being accountable to just me. I trust myself to do what is needed to build my brand, and earn a living online. It’s up to me and that’s the way I like it! Gone are the days of being beholden to a boss who controls my time and salary. There’s something very empowering about not having to please anyone but myself. I set my schedule, make my to-do list, and spend my time crossing off those tasks. It’s an emancipating way to live. Working from any location piggybacks off benefit number 2, working from anywhere. I’m not a morning person so having to be somewhere by 8:00 am has never worked for me or my health. My circadian rhythm does not support that schedule. I feel a lot better both mentally and physically when I’m able take my mornings a little slower, and gradually ease into my day. I love not having to commute, it frees up my time, and saves on gas. This is particularly great in the winter when the weather often doesn’t cooperate. And if an emergency arises, I can easily (sometimes begrudgingly though) put my work on hold, and resume where I left off when I return. What’s wrong with working in the evening anyway? It does take time to start making money with affiliate marketing. There’s no way to short circuit this fact. You’ll have to put in your due diligence to begin earning. But hey, time is going to pass anyway, so why not capitalize on the passage of time. Start creating content, write consistently, and one day you’ll earn your first commission, and then another and another. 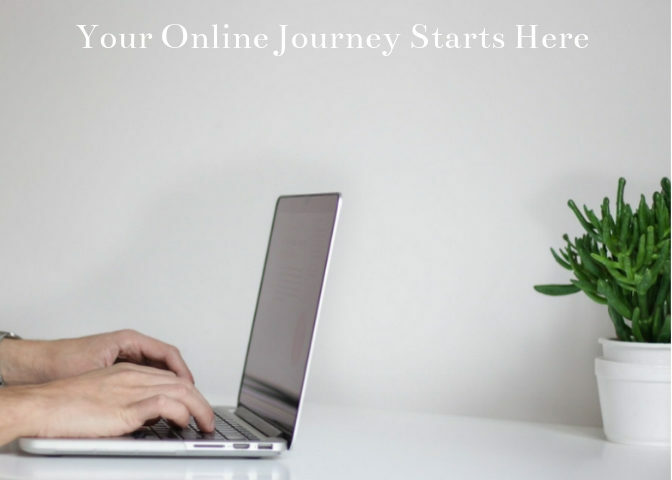 At first, these commissions will supplement your existing income, but if you keep at it and are persistent, it’s possible to make a full-time income from your affiliate marketing business. Affiliate marketing has certainly changed my life, and it can change yours too. Working for someone else, on their timetable, was hard on my psyche. I love being my own boss, and having 100% of my brain power go to building, growing, and monetizing my online business. My business is my own, and I’m able to run it the way I see fit. Everyday, I’m writing about subjects that interest me, and promoting products that can benefit those within my niche. Listen up, because I’m going to tell you the absolute best way to get started with affiliate marketing. Wealthy Affiliate is an outstanding, trustworthy platform that will teach you how to build a thriving online business. The training succinctly breaks down each concept so it can be easily implemented. You can see how comprehensive the training is. Watch this video to get an idea of what the training at Wealthy Affiliate is like. You can get started for free today, and no credit card is required. With no risk involved, are you ready to get started with affiliate marketing? If so, create your free account here. I will be your mentor, and walk with you every step of the way. It really is a journey of a lifetime! Read my review: Is Wealthy Affiliate Legit Or A Scam” here for more details. The internet is incredible, and so is social media. Times have definitely changed, and these changes make it possible to reach millions of people with your marketing strategies. Affiliate marketing will allow you to earn passive income online, work from anywhere on your own time frame, and be accountable to only yourself. It really can change your life? Are you in? If so, create your free account here. Your new beginning starts today…. Have you been looking for ways to make money online? Please take the time to leave a question or comment below. I value your experiences and insights! I have been a ‘corporate slave’ for around 7 years+ and I am tired of working 9 to 5. It’s just that corporate culture doesn’t really suit my personality. That’s when I heard about affiliate marketing and found this article. This really sounds interesting and it may be my ‘escape route’ from the corporate lifestyle. Do you have an estimation of how long I would need to work as an affiliate marketer to begin making money? What skill do I need to have to start? Thank you and waiting for your reply soon. I like the term “corporate slave.” It about sums it up. I don’t have the personality for it either. I like how you referred to affiliate marketing as a potential escape route because it really can be! If you blog consistently, it takes about a year to start making income from affiliate marketing. All you need to get started is a commitment to create content regularly, and a willingness to be patient. Hi there. It’s the dream of every online marketer to work whenever you want, right? You have created a great review about Wealthy Affiliate. I think this system does provide everything we need to be a successful online marketer. I know your full review will help many people like me that are looking for a great affiliate program like Wealthy Affiliate program.Thanks again, this is a great post! Thanks for your comment. Yes, it is the dream of every online marketer to have the freedom to work whenever you want. Wealthy Affiliate really is the best program for those wanting to break into affiliate marketing. Thanks for the kind words about my review! First things first, I love your website. It looks great and organized. Yes, I would love to know more about affiliate marketing and how I can become an affiliate marketer. The main reason I would love to is to learn how to become financially independent, and I would love to eventually quit my 9to5 rat race job. If I can accomplish those two things, I will be a happy Man. I hope you can help me in learning how to achieve those two goals. Thank you very much Charles. I appreciate the compliment. I understand how you feel about your 9-5 job. It’s tough! Being financially independent is the ultimate goal!